Aloo Poha or Potato Poha is a popular breakfast recipe in Gujarat, Madhya Pradesh and Maharashtra. It is made using beaten rice or poha and is fairly easy to make. Here is how to make Aloo Poha Recipe (Step by Step). 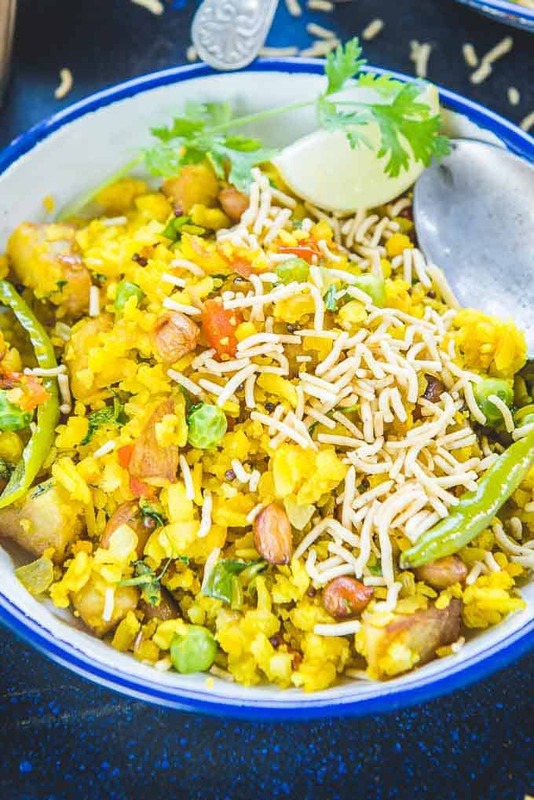 Be it for breakfast or for supper Aloo Poha is one of the most loved snacks of my family. A popular snack which originated from Gujarat, Maharashtra and Madhya Pradesh, has now become famous across India. 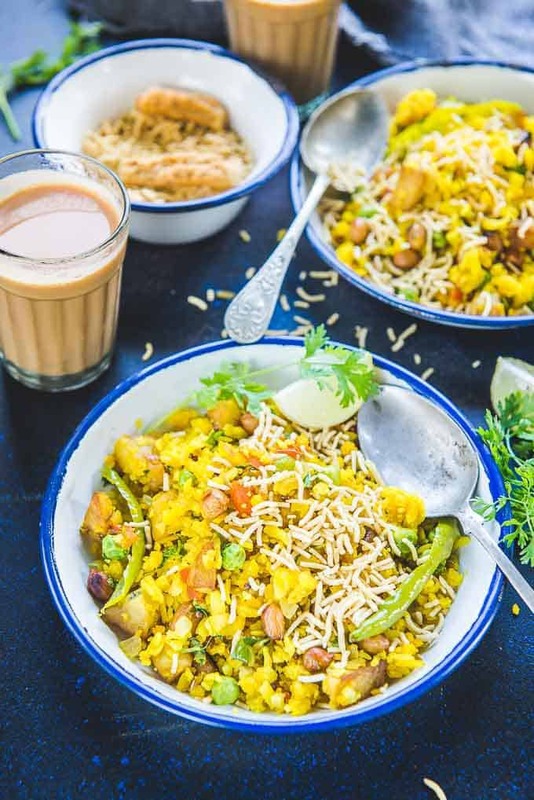 Most families in India make Poha Recipe and each one has their own style of making it. After tasting many versions of this recipe and mostly liking them all, my hunt for the best Poha recipe ended with my younger sister’s version. She deep fries the potatoes till they turn nicely browned and crunchy from outside and then adds them to the poha, just before serving it. This process retains the crunch while we munch on Poha and hence, we can relish tender yet mildly crunchy Gujarati Aloo Poha Recipe at home. Often some people even add grated coconut, pomegranate seeds and various types of Sev as a garnishing on this Poha. You could also customize it the way you want. As I had already added sugar in my version of Aloo Poha, I refrained from using pomegranate seeds. But I like a generous sprinkling of Bhujia Sev on my poha. You should try it too. You can try my homemade aloo bhujia recipe if you are a fan of good homemade snacks. Pair this quick, delicious snack with strong Adrak Wali Chai or coffee and have a wholesome meal. Instead of ordering it from food joints, I prepare it at home and that tastes way better and satisfying to us. Here’s my recipe for preparing Aloo Poha at home , do note it down. 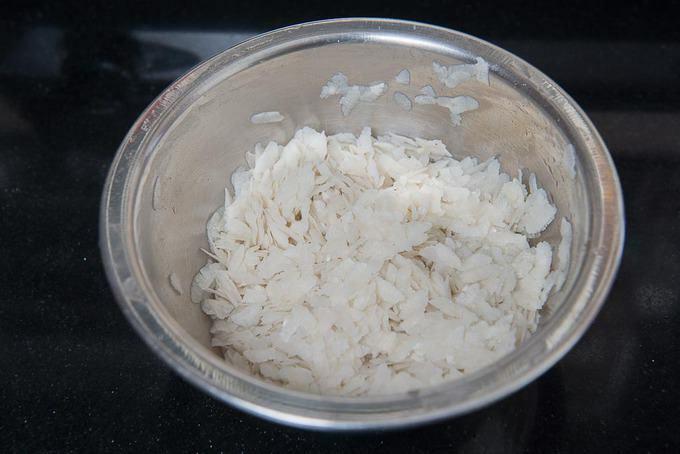 How long do you have to soak Poha? 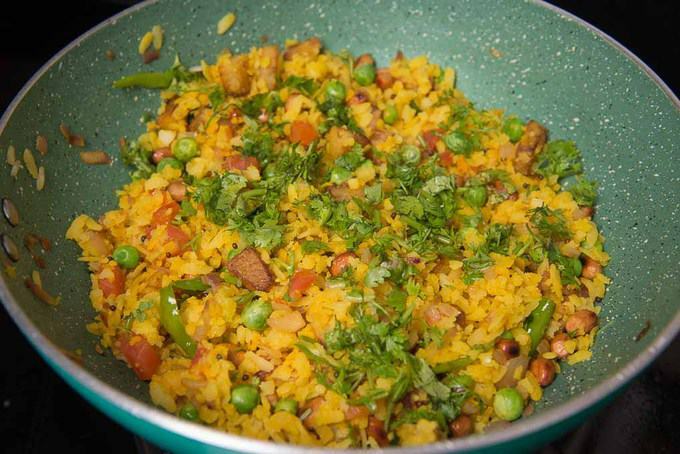 Poha comes in variety of thickness. To make Aloo Poha, it is preferable to take medium thickness poha. But this thickness will also vary from brand to brand. So when making the poha for the first time, monitor the time of soaking and then moving on, try to buy the same brand and stick with it. My poha usually takes 30-40 seconds of soaking. You should soak the soak the poha only until it is just about softened. Then immediately drain it. It will still keep absorbing the extra water and soften more. I then drain it in a colander and it still keeps getting softer from the remaining water. Be very careful about the soaking time of the poha. Use a lot of curry leaves for a nice flavour. If you have leftover poha, you can make Aloo Poha Cutlets too. Just add some boiled mashed potatoes to the poha, shape the mixture like cutlets and shallow fry until browned. You can also shallow fry it and make Aloo Poha Tikki. 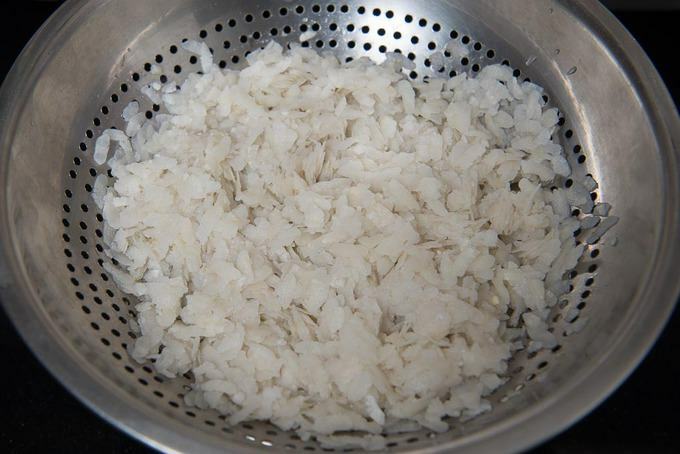 If you want to make the poha healthier, avoid deep frying the potatoes. You can use boiled potatoes instead. Just saute them in little oil until browned. You can garnish the poha with grated coconut too. That’s how they do it in Maharashtra. Drain the poha in a colander and let the excess water drain nicely. Keep aside. 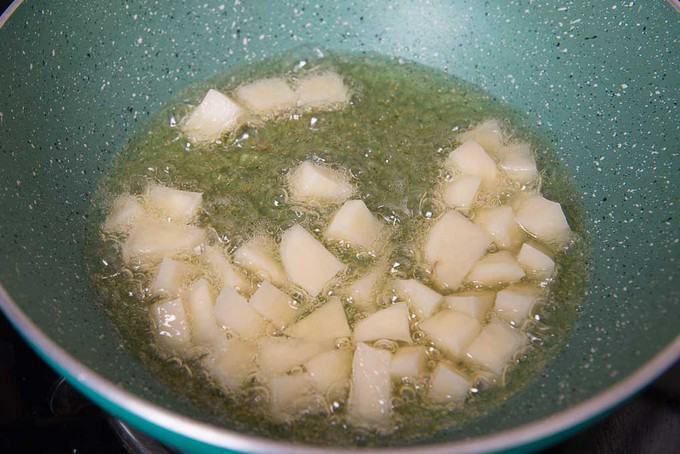 Heat oil for frying potatoes in a pan. When the oil is hot, add potatoes and fry on high heat till golden brown and crunchy from outside. Transfer the oil in a container for later use. Add 2 tbsp oil in a pan. When the oil is hot, add peanuts and fry till slightly browned. Remove the peanuts in a plate. 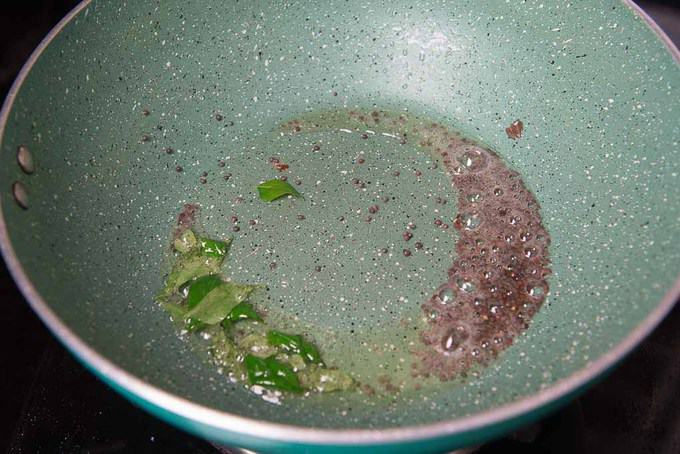 In the remaining oil, add mustard seeds and curry leaves. Let the mustard splatter for a few seconds. 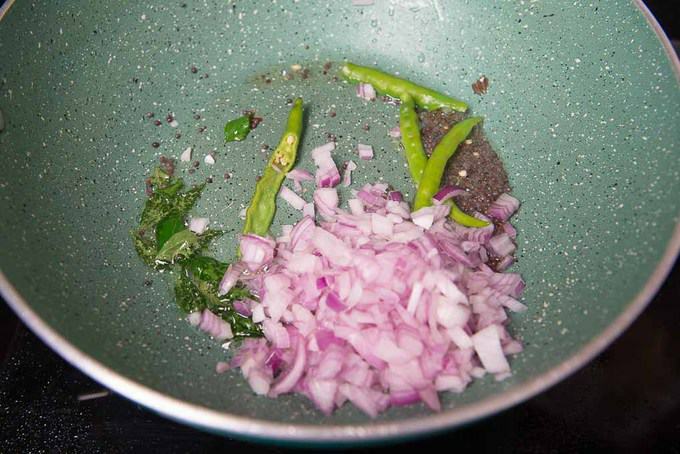 Add green chilies and onion and fry for 2-3 minutes. Now add fried potatoes, peanuts and green peas in the pan. 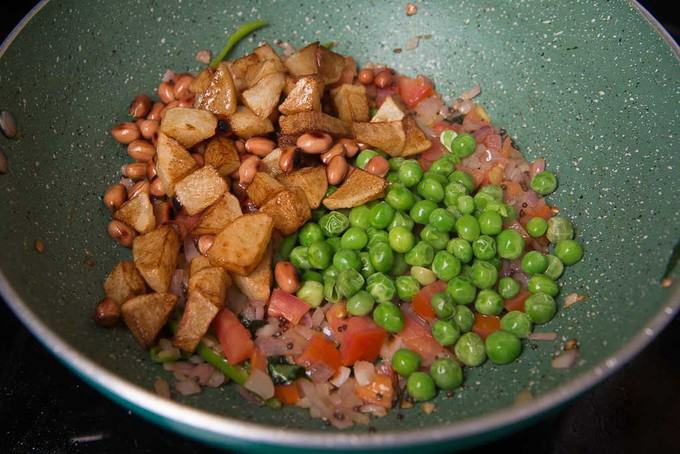 This time I added fried potatoes along with peanuts and peas But I prefer adding them at the end so that they remain crunchy. Add salt, turmeric powder, lemon juice, sugar and poha and mix well. Cover and cook 2-3 minutes on low heat. Add fresh coriander and mix well. Serve hot. Aloo Poha or Potato Poha is a popular breakfast recipe in Madhya Pradesh and Maharashtra. Here is a tried and tested recipe to make Aloo Poha. Drain the poha in a colander and let the excess water drain nicely. Heat oil for frying potatoes in a pan. When the oil is hot, add potatoes and fry on high heat till golden brown and crunchy from outside.Transfer the oil in a container for later use. Add 2 tbsp oil in a pan. 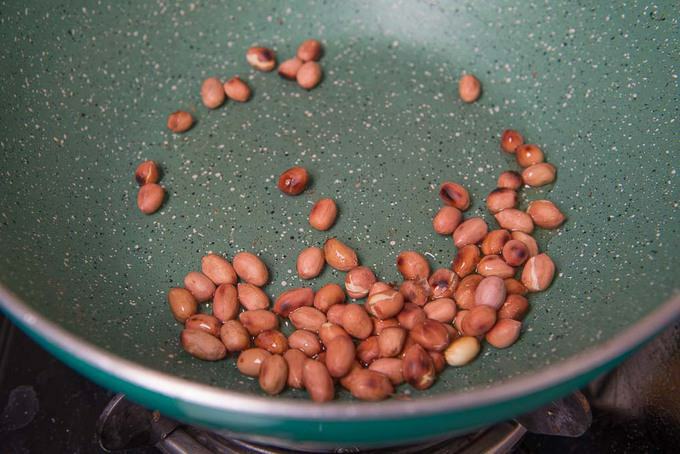 When the oil is hot, add peanuts and fry till slightly browned. Remove the peanuts in a plate. 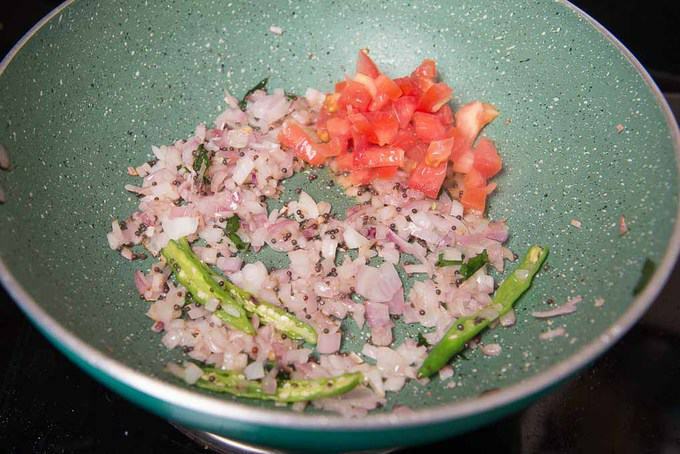 In the remaining oil, add mustard seeds and curry leaves. Let the mustard splatter for a few seconds. Now add salt, turmeric powder, lemon juice, sugar and poha and mix well. 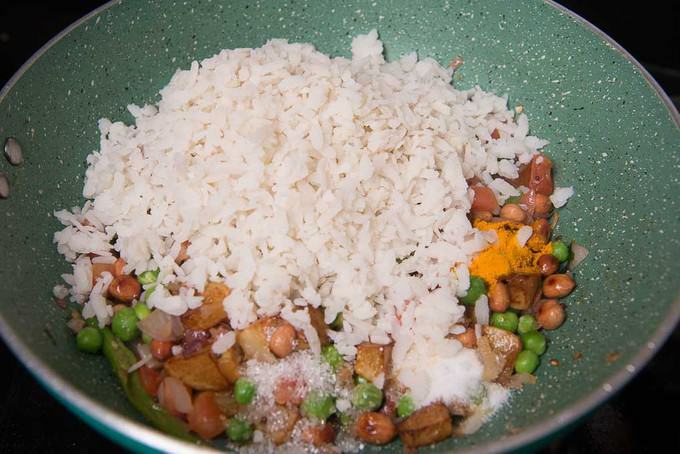 Add peanuts and peas and mix well. Cover and cook 2-3 minutes on low heat. Add fried potatoes and fresh coriander and mix well. I Love to eat poha. Its my all time favorite. Thanks for sharing such yummy pics of poha. Delicious and easy to prepare! 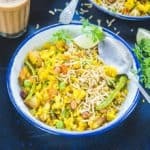 Would be curious to see more recipes that use poha. There are a few more on the blog. Just type Poha in the search bar.